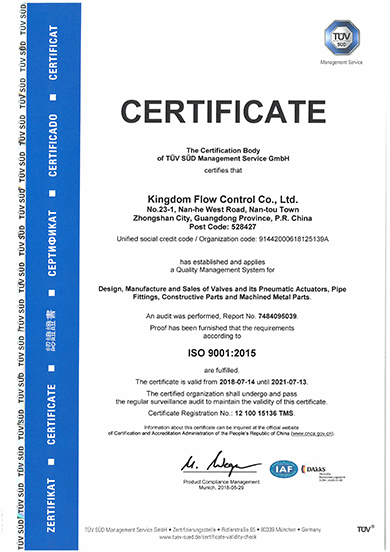 Being ISO certified since 1996, KI is proved to be capable of deliverying products which meet customer's requirements and related standards consistently. KI has been devoted itself to the environmental protection for continuous development. This certificate demonstrates our system is in compliance with current and future statutory and regulatory requirements. ISO 18001 is an occupational health and safety management standard. 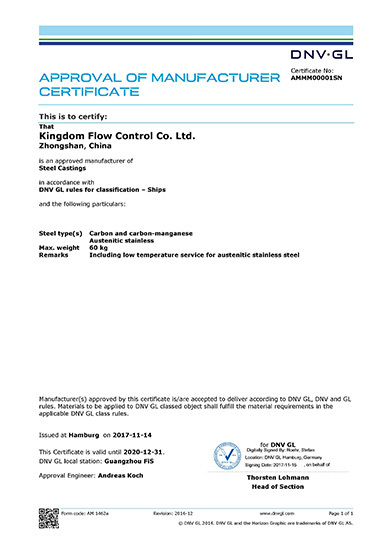 This certificate proves KI creates the best possible working conditions and complies with the international requirements. PED 2014/68/EU is a mandatory directive for pressure equipment uses in European Union. 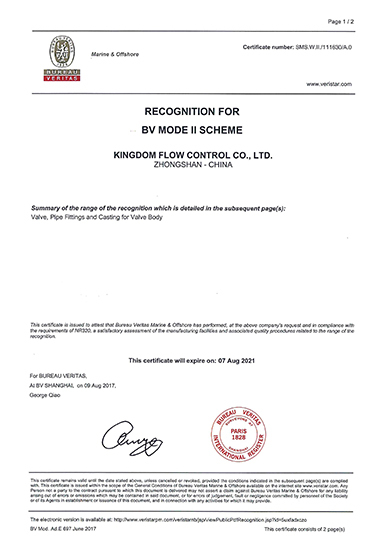 KI is certified with category III module H, which is full quality assurance including the requirements for design, manufacture, assembly, testing and packaging. 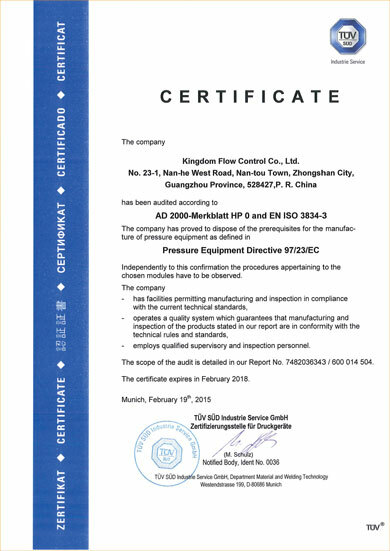 The AD2000 HP0 certification proves that KI has facilities permitting manufacturing and inspection in compliance with the current technical standards and operates a quality system which guarantees that. 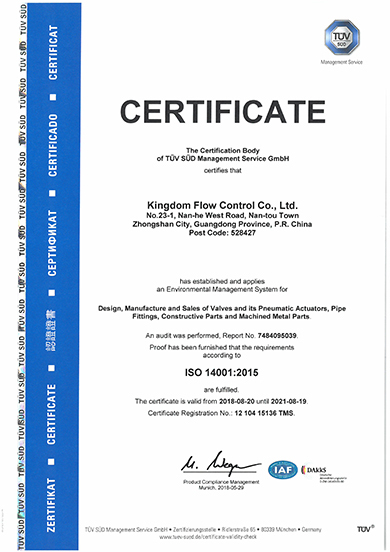 It also proves that KI employs qualified supervisory and inspection personnel. 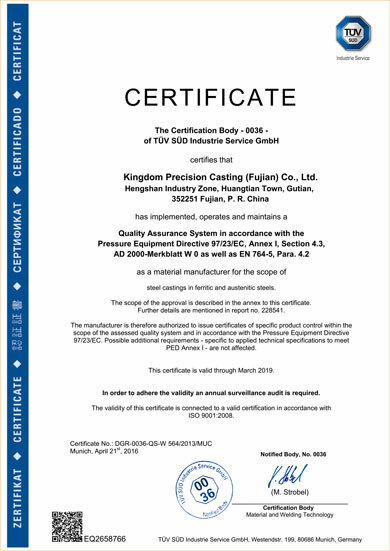 The AD2000 W0 certification proves that the castings manufactured by KI are in comliance with the requirements for presure bearing components of pressure vessels. AD 2000-A4 is the specificaiton for equipment, installation and marking of pressure vessels for accessory housings. It covers the scope of the PED module H, AD 2000-HP0 and AD-2000 W0. 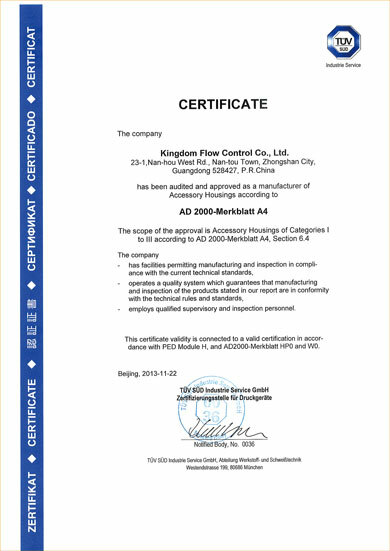 AD 2000-A4 certificate is granted when KI received these three certifications. Certified by SIL means the design, engineering and testing of the products are fully compliance with IEC 61508 and IEC 61511 standards and are suitable for use in a safety instrumented system. 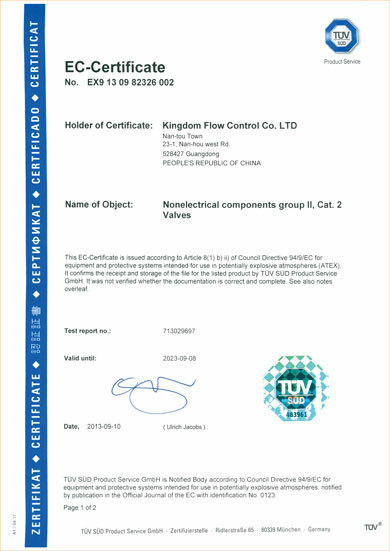 KI valves are SIL 3 certified. Passing fire testing per API 607 and ISO 10497 means the valve can meet the requirements of these standards in case of a fire. ISO 15848-1 is considered one of the most demanding fugitive emission test standards for industrial valves. 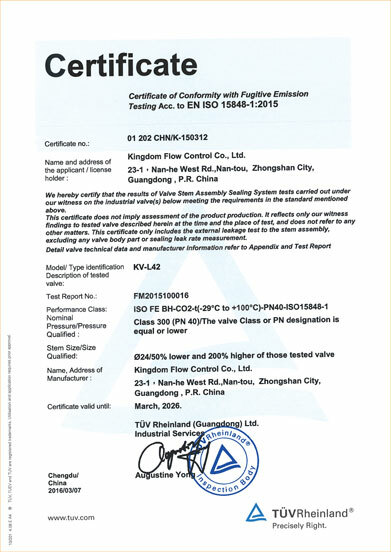 Valves certified by this standard is suitable for severe requirements on low emission. 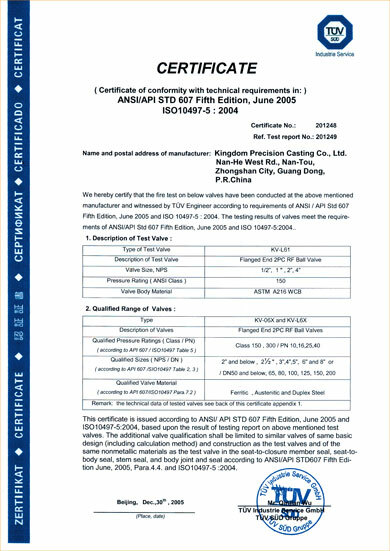 A wide range of KI soft and metal seated ball valves are approved by ISO 15848-1. 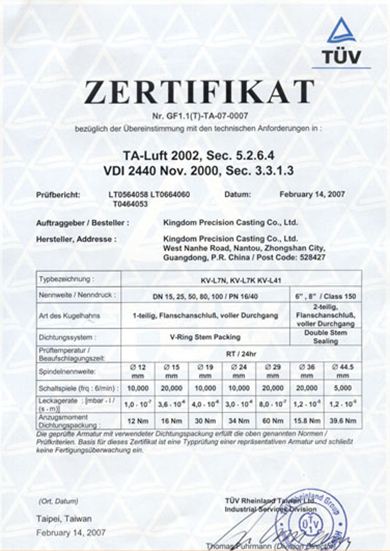 TA-Luft regulation specifies the stem sealing performance on valves and has widely applied in European process industries. A broad range of KI valves passed the TA-Luft low-emission requirements. The ATEX directive 2014/34/EU covers equipment and protective systems intended for use in potentially explosive atmospheres. 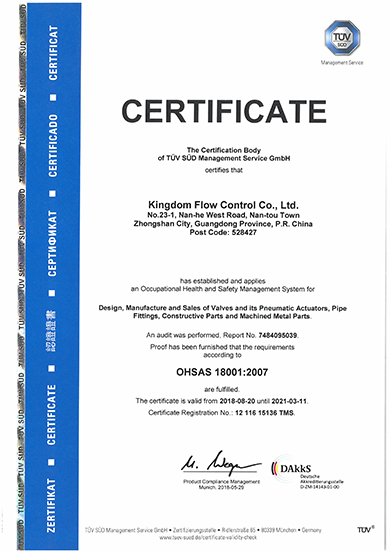 KI valves and pneumatic actuators are certified against group II category 2. 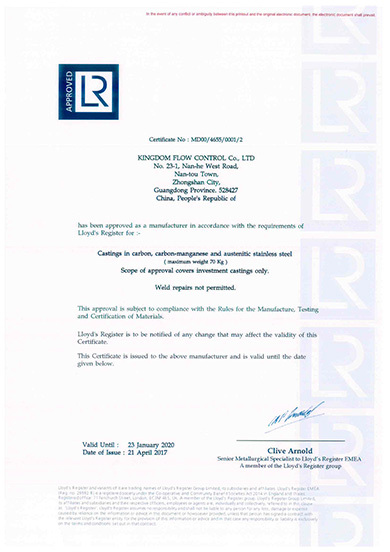 KI is approved as a manufacturer in accordance with the requirements of Lloyd's Register for castings in carbon, carbon-manganese and austenitic stainless steel. 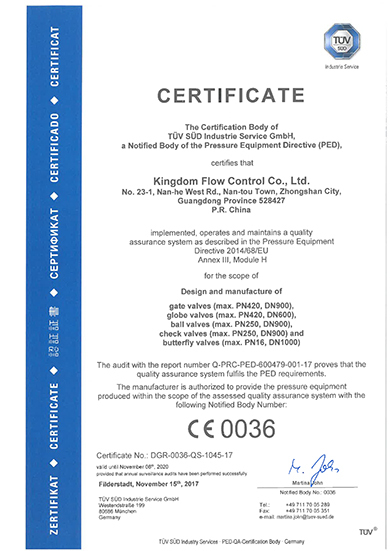 KI is approved as a manufacturer in accordance with the requirements of DNV for steel castings in carbon, carbon-manganese and austenitic stainless steel. 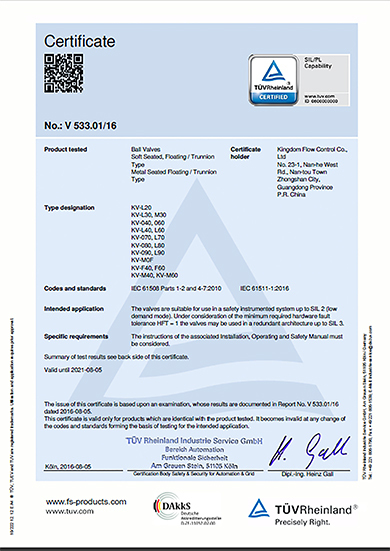 KI is approved as a manufacturer in accordance with the requirements of BV mode II shceme for steel castings in carbon, carbon-manganese and austenitic stainless steel. 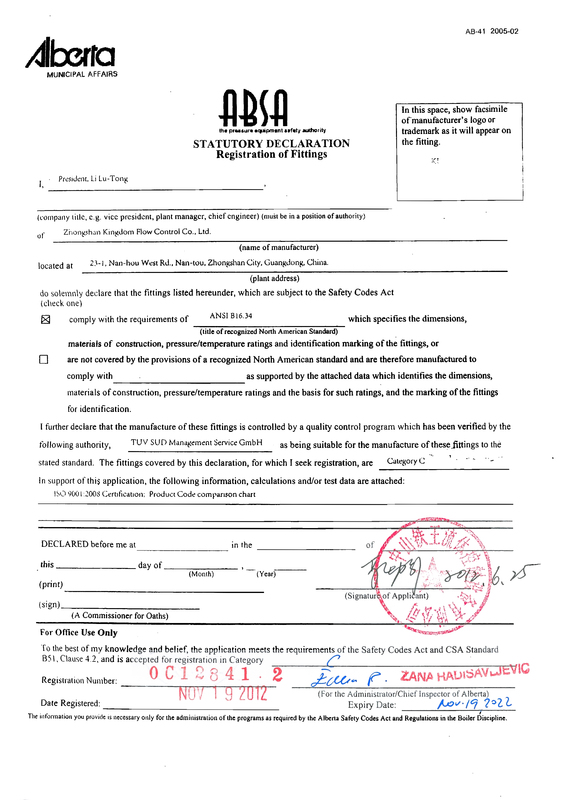 KI has registered its valves and fittings for Canadian market of all applicable provinces. EN 14432 specifies the requirements for product discharge and air inlet valves for use on transportable tanks with minimum working pressure greater than 50 kPa for the transport of dangerous goods by road and rail. There are 13 types of KI valves passed type approval per EN 14432. 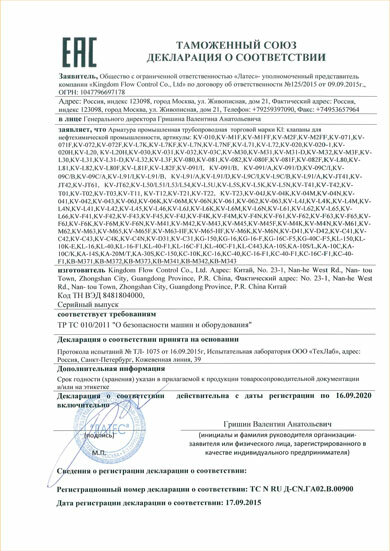 TR CU 010/2011 is the technical regulations on the safety of machinery and equipment sold to Belarus, Kazakhstan and Russian Federation. KI is entitled to export valves to these countries under TR CU 010/2011 regulations. 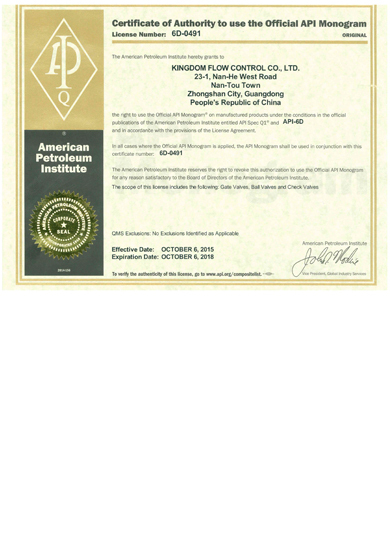 Certificated by API Spec Q1 demonstrates that KI has a quality management system that is compliant with API Spec Q1 which are geared specifically for the oil and gas industry. 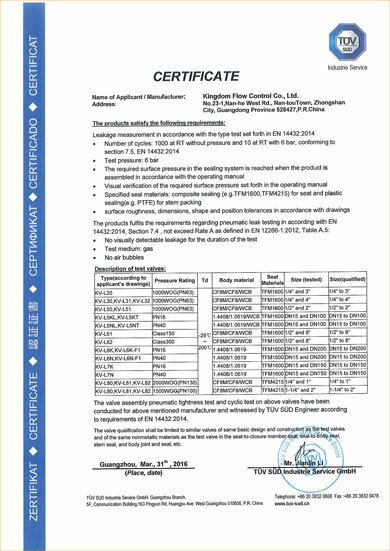 In addition, we are authorized to apply the API Monogram registered mark to equipment that meets the API 6D requirements.